Travelling with a family can make for a fun holiday, but sometimes it can create headaches for parents. A family-friendly property has to have a balance of adult amenities and some special offerings just for kids to enjoy. After all, a holiday should be relaxing and enjoyable for everyone. 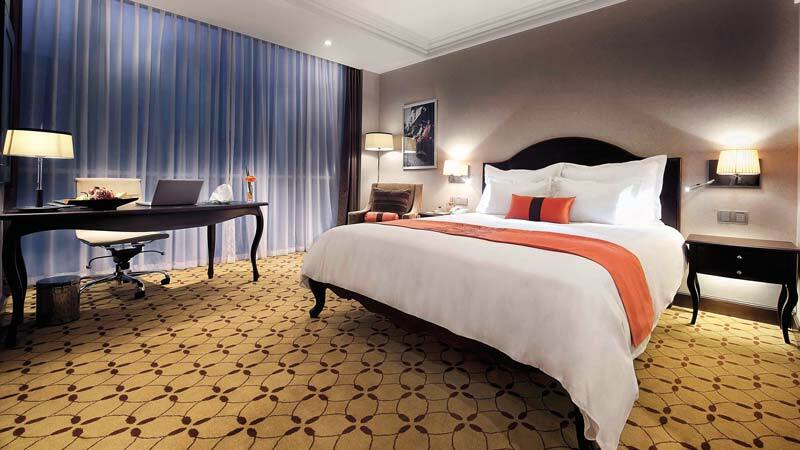 If you’re looking for a family-friendly hotel in Saigon, you may consider some of our suggestions below for a great stay in the city. 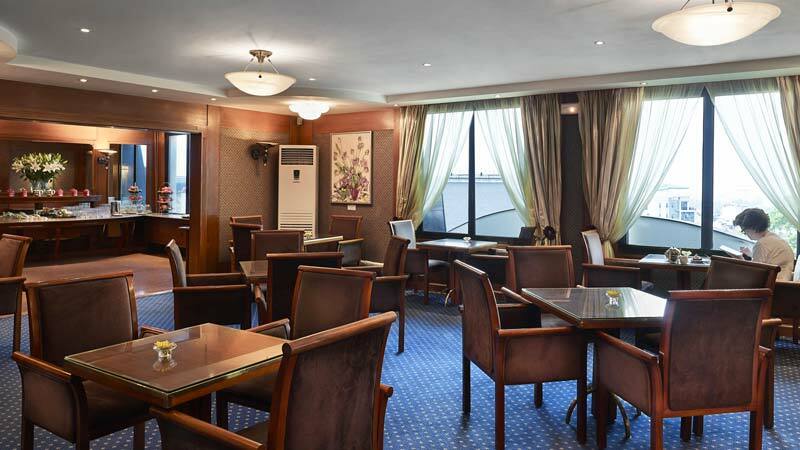 If you’re travelling with a family, Hotel Nikko Saigon may be a good option for you. With large rooms and the option of adjoining rooms, as well as a beautiful pool area with shallow kiddie pool, there will be plenty of space for your family to enjoy. 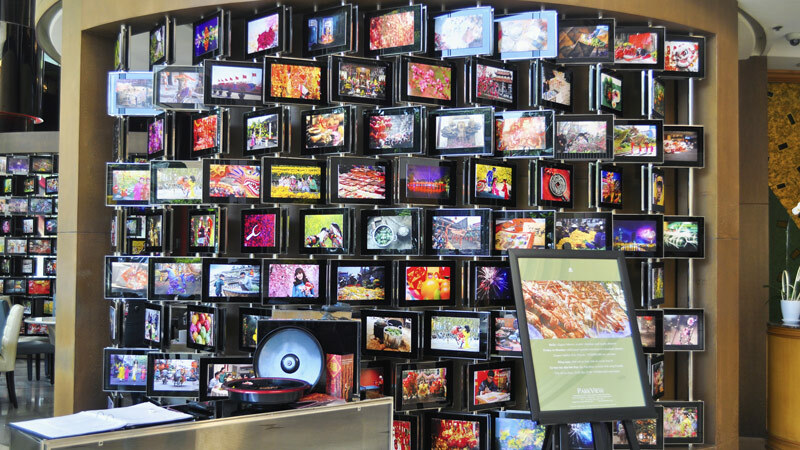 Additionally, the lobby is connected to Nowzone, a shopping mall with a food court, arcade and play area for your little ones. Amenities are well rounded with a shuttle service to attractions in the area. The bright and colourful Reverie Saigon is a unique property that is a nice option for families. The rooms are spacious and well appointed with a separate tub and shower space, perfect for a fun bubble bath. They also offer a childcare service for parents to then enjoy their own time, or families can beat the Saigon heat at the pool. Children are always welcome at the Hotel Equatorial. The staff is friendly and attentive and the property has a special outdoor saltwater children’s pool. If enjoying a stay over the weekend, families should be sure to take advantage of the complimentary buffet for children 6 years old and under. 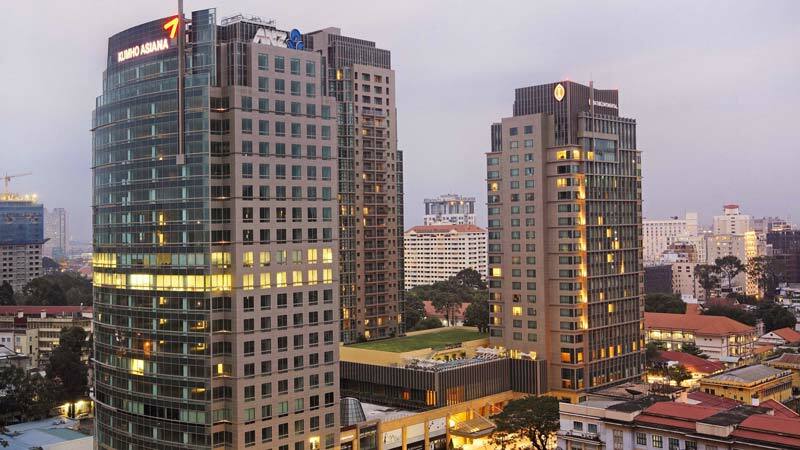 As with all Novotel properties, the Novotel Saigon Centre Hotel provides excellent service and comfort for your family to enjoy. Some of their family-friendly amenities include spacious rooms with extra beds available and a separate kids’ pool. A stand out feature is their dedicated kids’ corner adjacent to the restaurant. While parents enjoy their meal, the children are free to play safely with toys and games. If you want to venture a little further afield from central Saigon, here are a couple more picks. 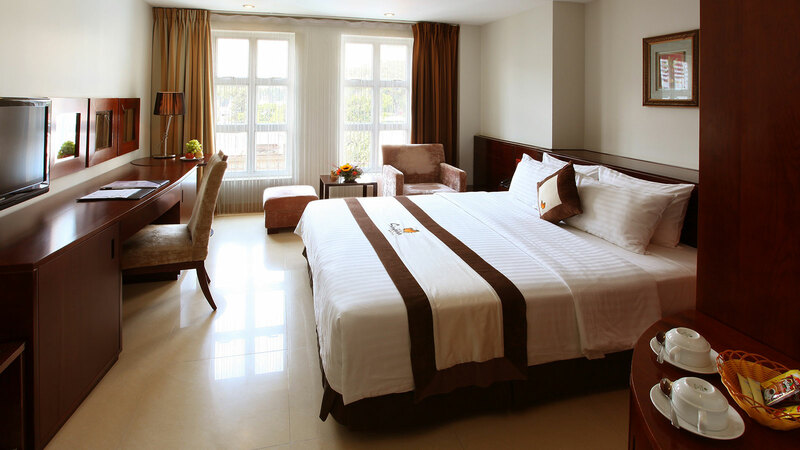 Riverside Apartments, located in District 2, is a great option for family-friendly accommodation in Saigon. The apartments have fully stocked kitchens and spacious, well-appointed spaces of up to five bedrooms. There is an outdoor playground, pool, and indoor play area. With three times weekly full cleaning service and laundry on-site, Riverside Apartments is a good choice for a convenient stress-free stay for those who like a little independence. Only a twenty-minute boat ride from next to Mong Bridge in central HCMC, An Lam Retreats Saigon River is traditionally thought of as a couples resort. However, they also have a host of family-friendly amenities. In the room, the resort offers infant beds as well as childcare services available upon request. There is a playground and a pool on the property and the resort also offers free supervised children’s activities to give parents a bit of time to relax away from their young ones. Saigon Domaine Luxury Residences is a high quality accommodation option for anyone who wants to be a little outside of the city centre in a lovely, peaceful riverside setting. Made up of stylish, spacious apartments of 1-4 bedrooms, guests can enjoy their own full size kitchen, fridge-freezer, dishwasher, washer/dryer, living room with satellite TV & music system,and en-suite bathrooms. All apartments are air conditioned and feature a balcony and terrace with beautiful river and/or city views. For families, there is a children’s indoor and outdoor playground, two swimming pools, and it is pet friendly if you have a four-legged love one to accompany you! Located around 25 minutes by car or taxi from Tan Son Nhat International Airport in Saigon, Binh Quoi 2 Resort will rid you of your city exhaustion. The resort includes 40 simple but tasteful rooms, set in a beautiful and relaxing location, with many bungalows set on stilts over water. Amenities include an outdoor pool for adults and kids, a children’s playground, tennis courts and lush green grounds. In addition, the evening barbeque offered at Binh Quoi 2 Resort is sure to have options to please both kids and adults. For a real getaway nearly 50km from Saigon, Les Hameaux de L’Orient is a scenic and relaxing resort set in the Cu Chi countryside - close to the infamous tunnels of the same name. A pleasant and green setting that 18 acres, it is a great outdoor space for kids to run around and adults to wander. Family facilities include a chlorine-free (salt water) swimming pool, playground, kids’ games, fish ponds, and more. The owners are extremely friendly and welcoming to make your whole family feel comfortable and at ease during your stay. Nourishing family-style meals create a warm sense of community. If you’re feeling adventurous, you can rent motorbikes to explore the area and visit the Cu Chi tunnels or hire a guide. 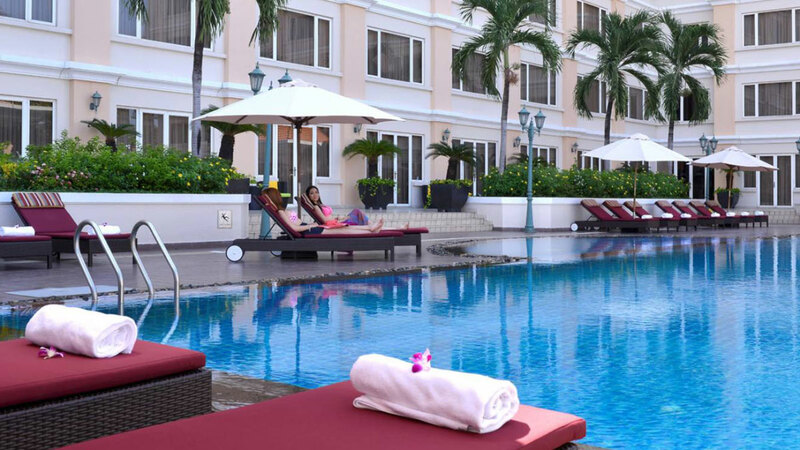 The Best Pool in Ho Chi Minh City? 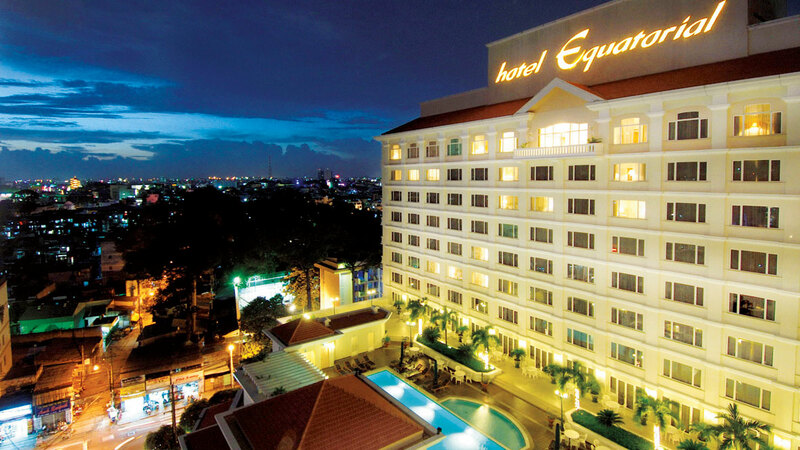 Hotel Equatorial’s Pool is one of the Best in the Ho Chi Minh City. 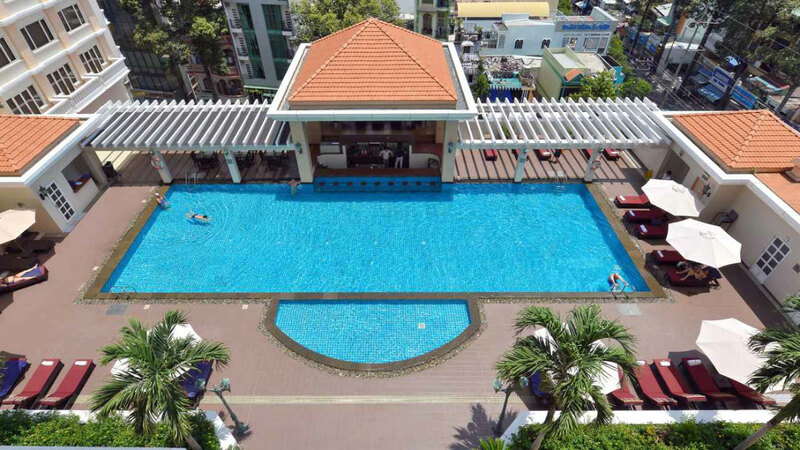 What many consider the best pool in Ho Chi Minh City is not by an ocean-side resort, on the roof of an affluent condo building, or even in an indoor gymnasium. It’s on the fourth floor of the 5-star Equatorial Hotel. Twenty-five meters of minimal-chlorine, salt-filtered ocean-blue water stretch across the mid-roof of the hotel. Potted flora line the pool, soaking in the Saigon sun. A poolside bar awaits those who want a drink with their tan, and a delectable food menu offers guests a luxurious outdoor dining experience. Below, the bustling streets of Vietnam fill with chaotic traffic. The Equatorial pool is a slice of paradise amidst the hustle and bustle of the concrete jungle four stories down. Two sides of the pool are flanked by floors 3 to 11 of Hotel Equatorial. The other two are open to the trees and colorful buildings that surround District 5. It’s almost surreal how close this slice of tranquility is to the urban rawness of the Ho Chi Minh City streets. In the mornings you can spot early risers lapping the pool, with families enjoying a swim by midd ay and stressed-out businessmen vegetating chin-deep by nightfall. The Equatorial pool draws a diverse crowd. 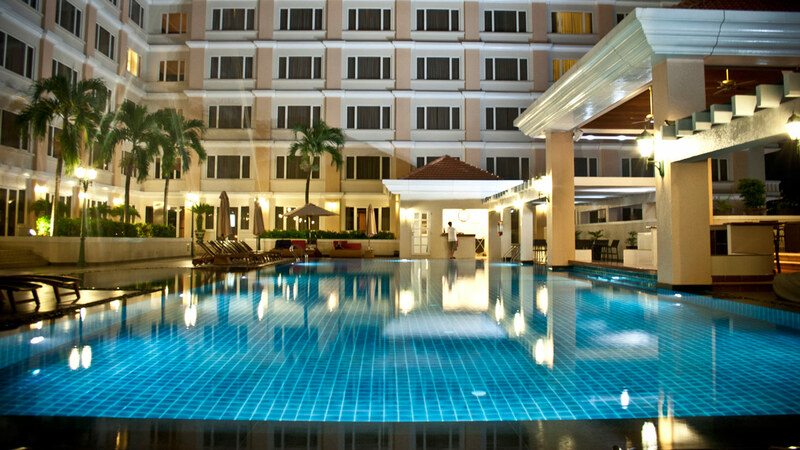 What’s the magic ingredient that makes this the best pool in HCMC? “My friends love the pool,” says Jessie, the Guest Services Officer at the Equatorial. Guests occasionally express how much they prefer the pool to any other in the city. Jessie says some believe it to be “by far” the best pool in Ho Chi Minh. It could be that the pool looks like it was taken straight out of a music video, with its planted trees, poolside bar, clean, blue water and its location in the middle of a bustling metropolis. The typical scene at the Equatorial’s pool may be a little less sensational and colorful, and a bit more quiet and peaceful, as lounge music plays softly by the bar and swimmers immerse themselves in the clean, cool water, or sit sipping drinks. The pool actually uses a salt-based filtration system, which reduces irritation and makes for a more pleasant swim. The guests sometimes have a hard time getting out of the water. It’s not difficult to see why guests prefer the Equatorial pool over any other in Ho Chi Minh City. Its proximity to the overwhelming cityscape, its slice-of-heaven location and its features all make it the perfect getaway that’s meters away from all the action. Hotel guests also have access to poolside events, including parties, French nights and other exciting gatherings. The Equatorial has even come up with non-guest service packages, where those not staying at the hotel can purchase a membership to Equatorial’s Equinox spa and fitness center starting at yearly fees of VND24 million++ per person and VND51.5 million++ for families of four with two children. 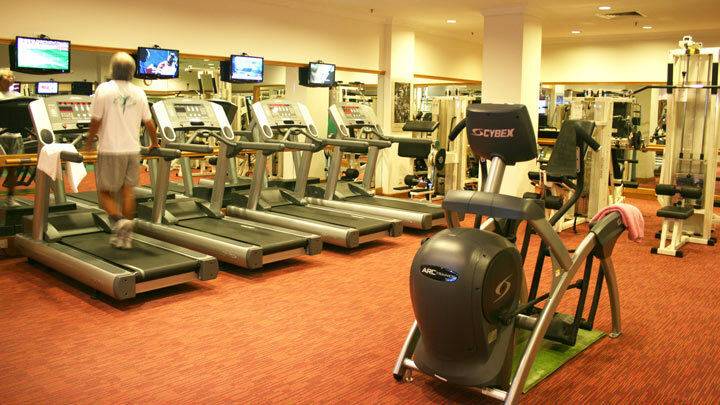 This includes access to the gym, sauna, Jacuzzi and pool, as well as member discounts for most hotel services. If a non-guest is content with just the pool, sauna and Jacuzzi, prices are VND19 million++ per year for adults and VND16 million++ for children under 18. A daily fee of VND300,000++ for adults and VND200,000++ for children also gives non-guests full access to the pool. We’ve all had type of days while traveling with significant others when you can’t quite get the gumption to leave your cozy bed and explore the greater world outside. 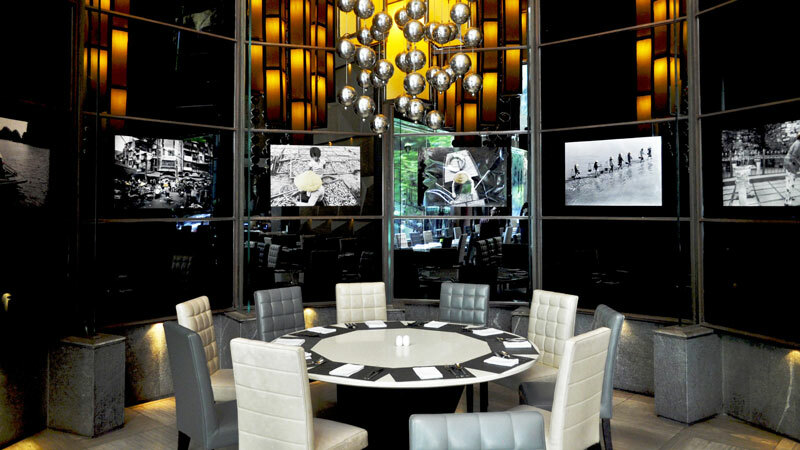 Some of our readers recently had one of those days while staying at Sanouva Hotel, located right in the heart of Saigon and have packed a list of things to do for a light-up couple schedule in one of the busiest cities in Asia. 1) Food Street Food, Lots of them, Yummy! Perfectly located right in the heart of the busiest area of the city, Sanouva Hotel is just a few steps away from heaven of street food venues. Day time or evening, Ben Thanh market is where you can always discover new dish everyday. 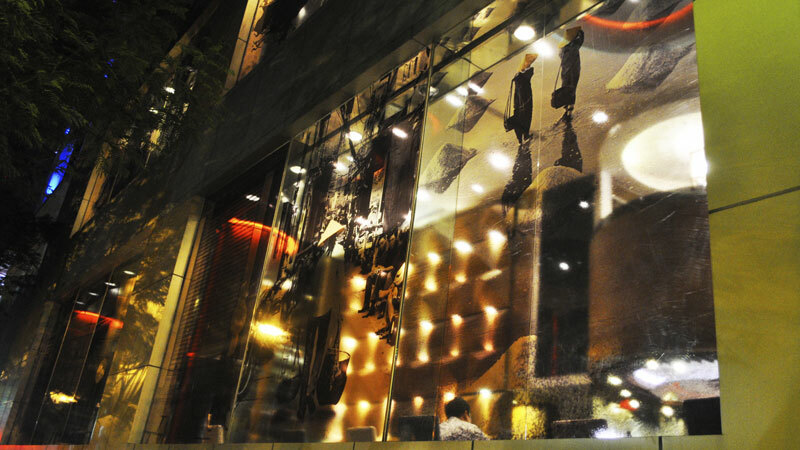 Ly Tu Trong Street is famous for its variety of fashion stores. And do not miss the best shopping mall of the city: Vincom Center on the same street. Just a few minutes walking from the hotel and you can visit a number of the best museums in the city, including Ho Chi Minh museum, History museum and War Remnants Museum. It is also worth your time to visit Notre Dame Cathedral, Opera House, Independent Palace and take the chance to watch a show of water puppet at Rong Vang Water Puppet Theatre. Though Ho Chi Minh City is still not a city for round-the-clock entertainment – most places close soon after midnight. But if you are seeking for a bit fun before relaxing for the next busy day, check out Lush and Apolycapse, two of the most crowded nightclubs in town. Too tired from all the above activities? Take a rest at this lovely hotel and enjoy local/international cuisine at your door with Sanouva restaurant. Ever wanted to stay in an extravagant palace literally fit for a king? What about running into a 100-year old tribal woman while exploring sand dunes outside a world-class luxury accommodation in the middle of nowhere? 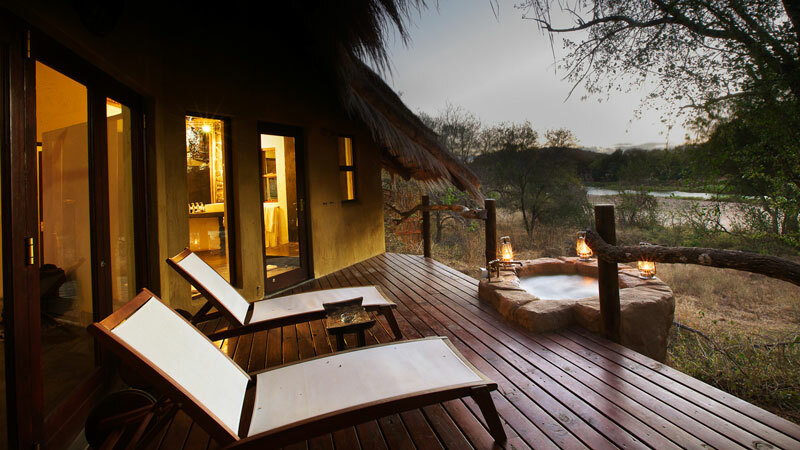 Perhaps enjoy some wild elephant gazing while you lounge in your private jacuzzi amidst an African national park? Some of the best boutique hotels in the world aim to embark guests on unforgettable experiences, unreplicatable anywhere else. There is, however, a common thread among the cream of the crop in the boutique hotel world. There are five essential values common in all of this year’s winners of the World Boutique Hotel Awards. Set in the Thar Desert, Suryagarh is built with Jaisalmer sandstone, situated in the middle of nowhere, with stretching dunes and arid land creating a strangely beautiful backdrop. 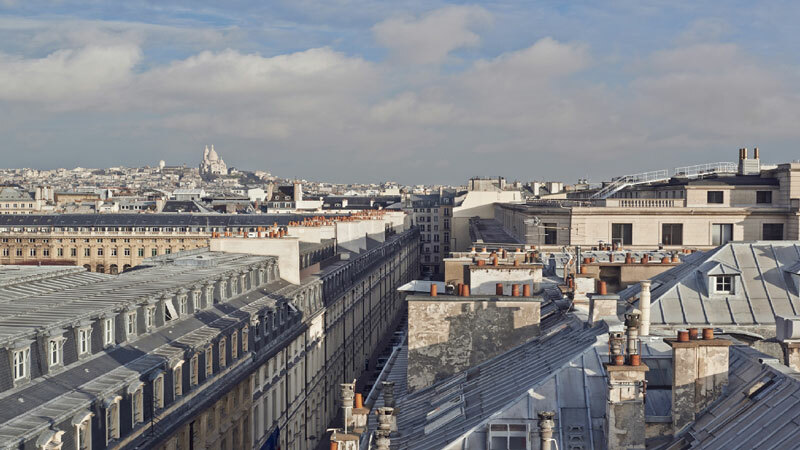 Embodying Paris’s inimitable combination of class, history, architecture, cuisine and art, the Grand Hotel is located in the middle of the city’s biggest attractions, including the Louvre and Opera house. 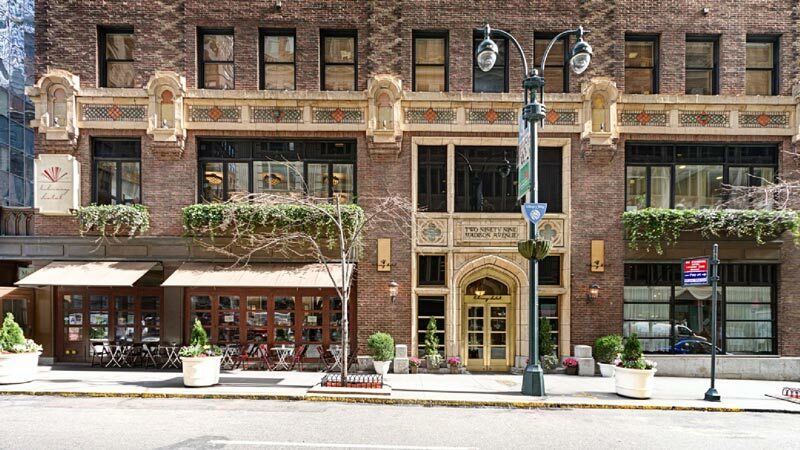 With a story stretching back to the 18th century, it’s no surprise that this hotel naturally takes in the culture and feeling of the historic city surrounding it. This not only means taking guest from the airport and back, or even anticipating needs. The best boutique hotels in the world have staff that are interesting personalities in themselves, making them just as memorable as the hotel itself. For example, Pondoro Game Lodge in Africa has Robbie, the owner of the resort and your personal ranger, guiding you around the African bush in his jeep. One of the staff in Suryagarh is an expert on the theory of relativity. 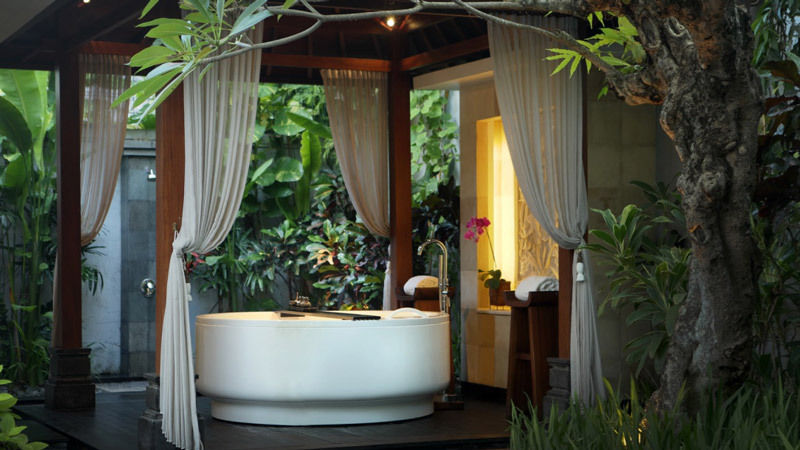 The owners at Awarta Nusa Dua Luxury Villas & Spa in Bali tend to their garden themselves, including four bonsai trees over a hundred years old, and two merged frangipani trees, meant to symbolize unity. Owners, managers and service staff at the best boutique hotels in the world are your friends and family. They genuinely care about their property and are glad to relay this appreciation to their guests - they feel like they’re at home, and make you feel the same way. 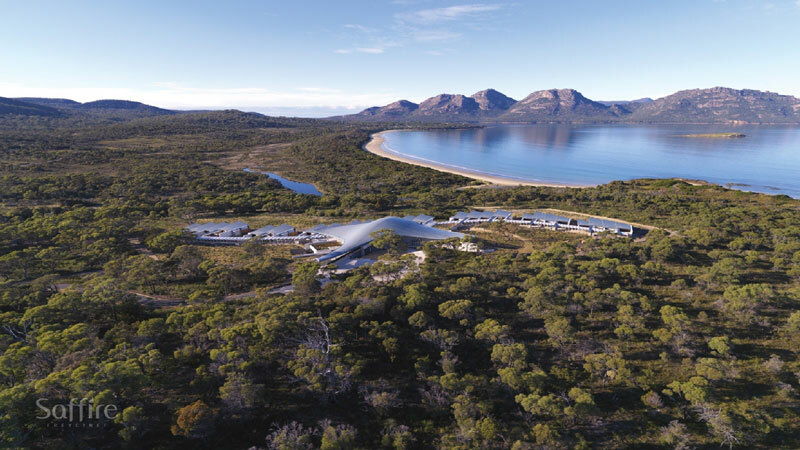 Saffire reflects the natural environment it is built in: The Hazards mountains’ pink granite, the white beaches and sapphire waters, and the grey-green native bush land. 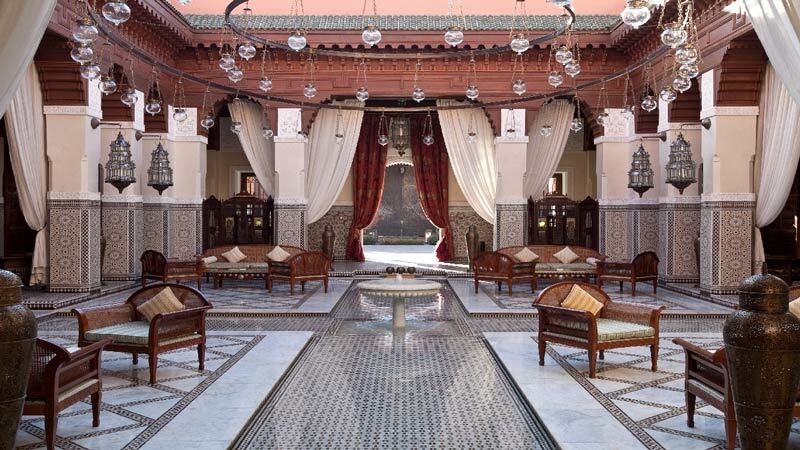 The Royal Mansour in Morocco was commissioned by King Hassan the 6th for his most honored guests. The palatial riads all reflect a kingly aesthetic - in fact, over 1,500 artisans were employed to work on the facility. 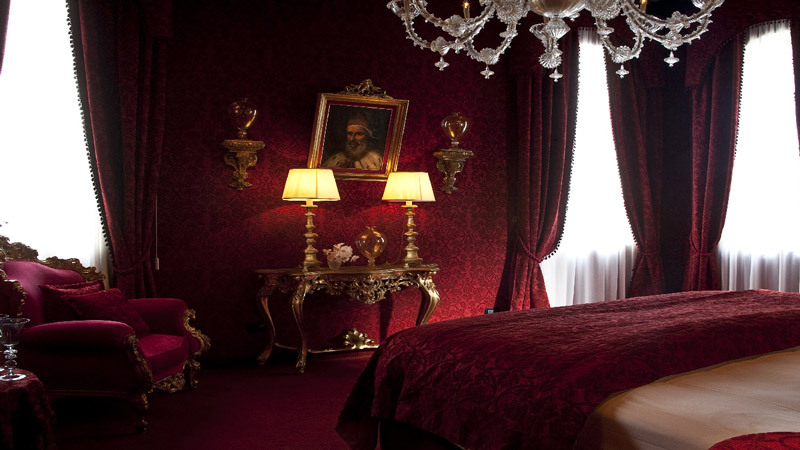 Venetian luxury is intertwined with a relaxed atmosphere at Ca Maria Adele in Italy, where guests are meant to forget what century they are in. 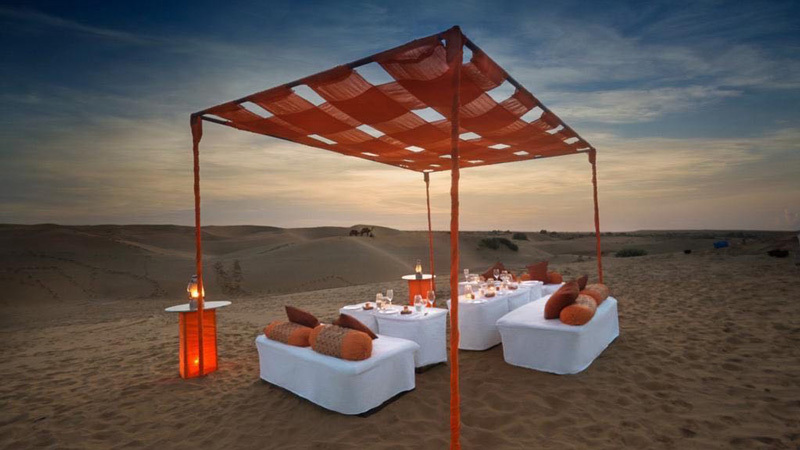 A genuinely unforgettable experience goes beyond a comfortable stay and great F&B outlets. The best hotels in the world aim to have their guests fully experiencing the environment in and around the facility. Besides a rounded experience that includes likeable staff, great food and drinks, a beautiful environment in and out of the hotel, and so on, the key element in creating a unique experience for guests is a series of small touches and moments that make the experience unforgettable. 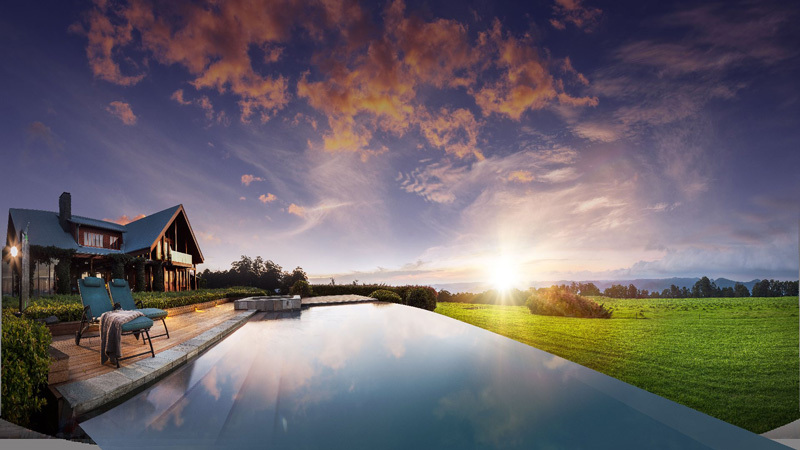 Swimming in your private infinity spa pool while watching the sky redden and the sun set across the horizon at Spicers Peak Lodge in Australia. Reading your favorite novel with a glass of excellent wine by the magnificent grand piano at The Library Hotel in the United States. For many, the food and drinks at a hotel make or break the experience. Those who can afford the luxury are more often than not serious foodies with an appreciation for fine cuisine. It’s no surprise that the best hotels in the world also have some of the best dining outlets available in the region, and even the country. The Royal Mansour in Morocco employs three-Michelin-star chef Yannick Alléno for both of their restaurants. Chefs at the Pondoro Game Lodge in South Africa serve local cuts of ostrich and buffalo steak in generous portions. Awarta Nusa Dua in Bali has some of the best Chinese food in the country. All these five points are intimately wrapped up and interconnected with one another. Take one out, and you very likely have no chance at achieving a World’s Best title. And while there’s definitely something to be said about the boutique hotels mentioned, this doesn’t stop operators of smaller hotels, or even corporate entities, from learning from this year’s winners and employing the very same elements to make the best experience possible for their guests. Vietnam’s biggest holiday is approaching, marking the arrival of spring and the new lunar year. At this time, the entire country goes into a fervor, visiting family members, eating traditional meals, drinking, giving gifts and practicing ancient traditions. Special Tet foods are cooked, lucky money is given out, and the past year’s troubles are forgotten in hopes of a better and brighter new year. Taking hold of the spring spirit at the center of Saigon, New World Saigon Hotel joins the festivities, celebrating with stunning decorations and special menus for guests. In a Southern Vietnamese home, an apricot flower tree (Mai Vàng) helps ward off evil spirits in the South, and a pink peach flower tree wards off bad luck in the North (Đào). The bright flowers blossom only once a year around January and early February. The tree marks a new, prosperous beginning, while also being a beautiful set piece. 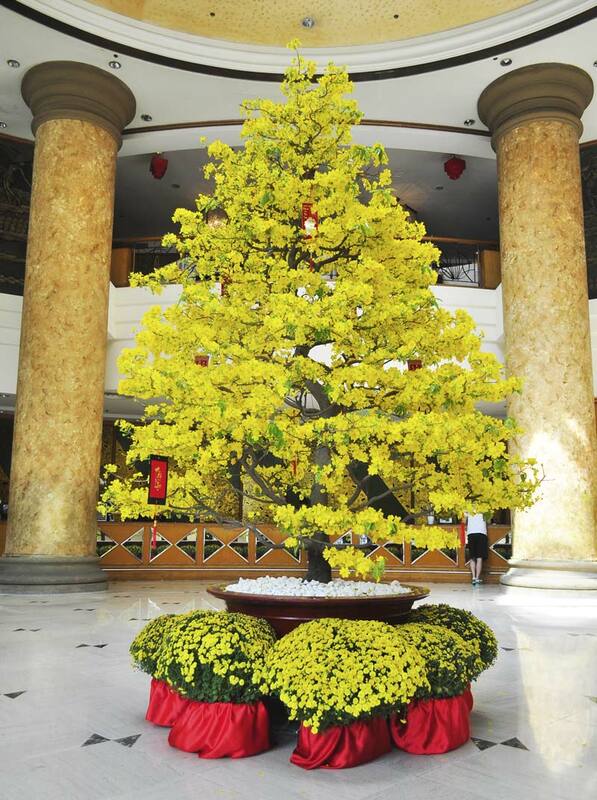 One central element on display in New World Saigon Hotel’s lobby this Tet is the apricot flower tree. Colors are very important elements in Vietnamese culture. Red (including the pink peach flowers) and Gold (the yellow apricot flowers) are lucky colors in Asian culture. The trees ward off evil spirits during the absence of the Kitchen Gods (Táo Quân) who leave the family to visit the palace of the Jade Emperor, where they will report back what the humans have been up to in the past year. They travel on the backs of giant carp to heaven and back, making the fish another important symbol. Bursting with flowers, beautiful decorations, tradition - Tet is in a word, vibrant. 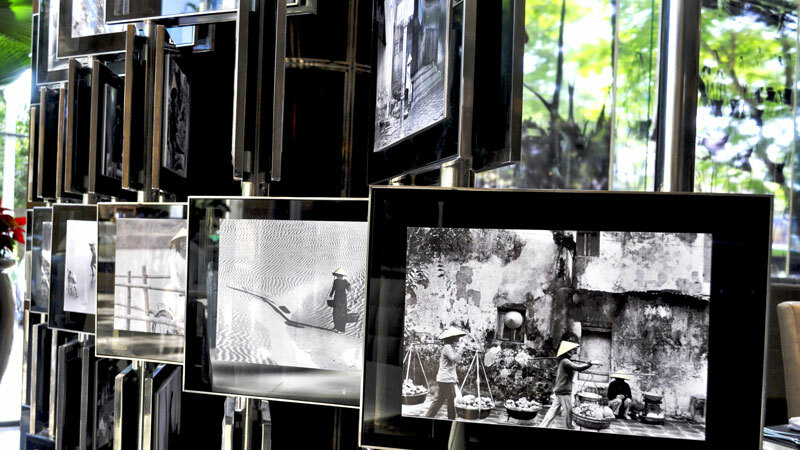 To showcase this vibrancy to New World Saigon Hotel’s guests, Citypassguide.com has for the third time collaborated with the hallmark hotel to produce a stunning representation capturing the modernity and tradition of Tet in Vietnam. 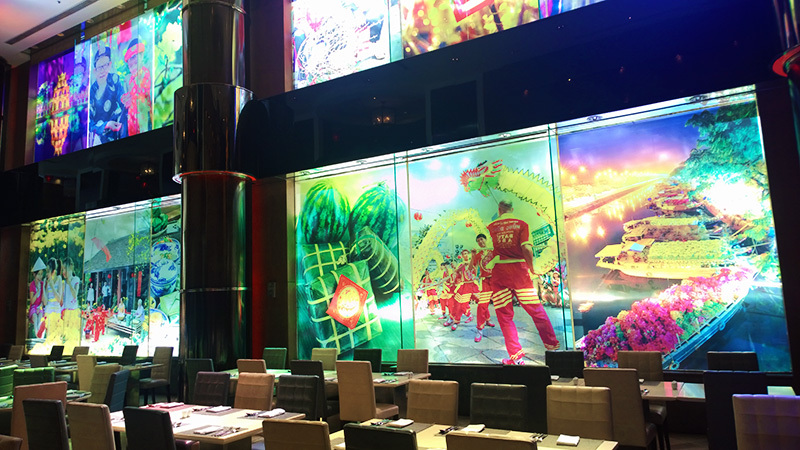 Guests will be arriving at New World Saigon Hotel during Tet to find a mosaic of lively, colorful paintings and photographs displayed over wall-to-ceiling windows, as well as areas of Parkview Restaurant. The result is a showcase of what Tet is now and what it was in the past, using gorgeous imagery and the colors of Tet to surround guests in the Vietnamese Lunar New Year spirit. Citypassguide.com and New World Saigon Hotel have collaborated together twice in the past, installing beautiful displays to mark special times of the year. 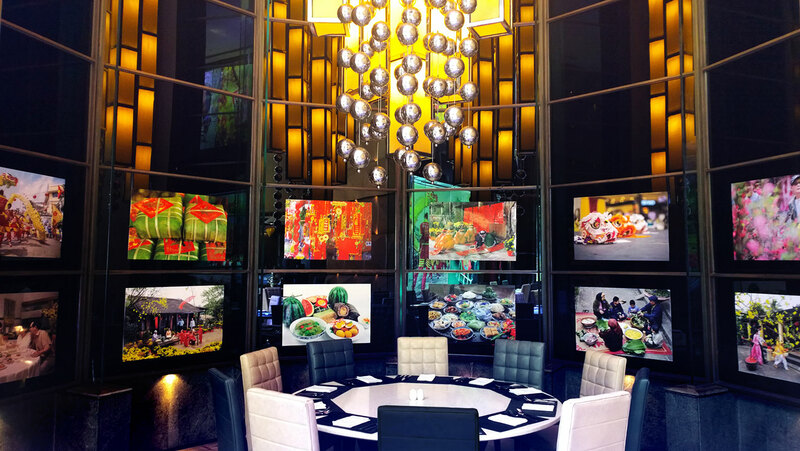 For New World Saigon Hotel’s 20th anniversary in 2015, Citypassguide.com collected its most stunning portraits, landscape photography and paintings of Vietnam and its people, as well as art from contributing artists. Last Christmas, Citypassguide.com took its role a step further, conceptualizing a tree composed entirely of conical hats (nón lá). The nón lá is the unofficial symbol of Vietnam, used to shade the hardworking men and women who toil in the rice fields and farms of the countryside. A hardworking face, a sweet smile and a gentle glimmer in the eyes - the spirit of the people was captured with carefully selected professional black and white photography and allegorical set pieces. 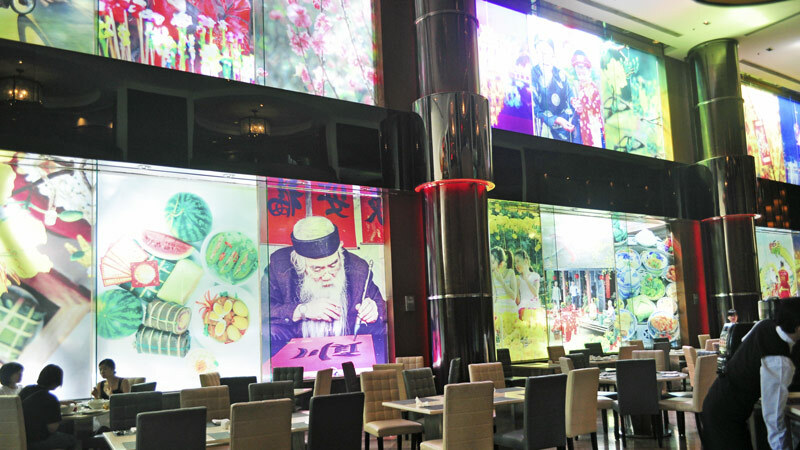 Parkview’s windows were covered in transparent images of Vietnamese scenery and life, creating an immersive and cultural experience for guests entering the lobby and restaurant. From 7 to 11 February 2016, Parkview is serving up fabulous lunch and dinner buffets that boast the best of traditional Vietnamese Tet dishes as well as seafood specialties to satiate the biggest appetites. 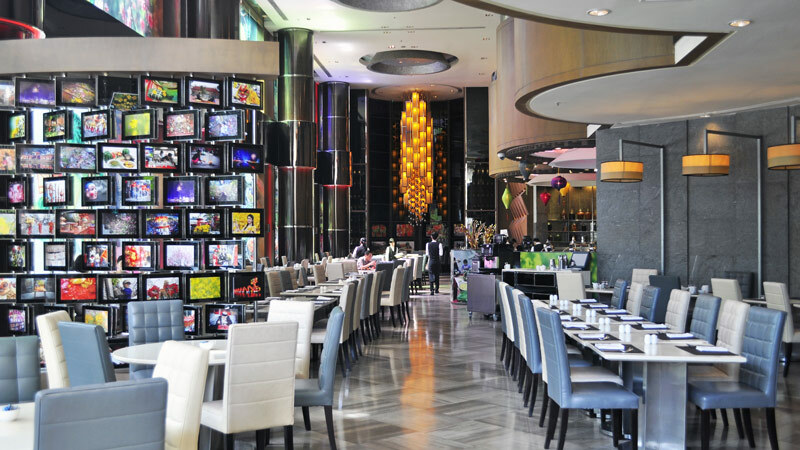 Lunch buffet is priced at VND680,000 per person and dinner buffet priced at VND980,000 per person. Meanwhile Dynasty kicks off the first day of Tet (8 February) with a lion dance and an exquisite Tet Brunch Buffet priced at VND1,088,000 per person, including house wine, beer, soft drinks, and tea, (Club Epicure priced at VND888,000 per person). Tet Dim Sum Buffet is priced at VND450,000 per person from 9 to 21 February; and the Tet Holiday Reunion set menu is priced from VND6,800,000 for a table of 10 people including a bottle of house wine, available from 1 to 21 February. Nian Gao, or New Year Cake, has a history of at least a thousand years. 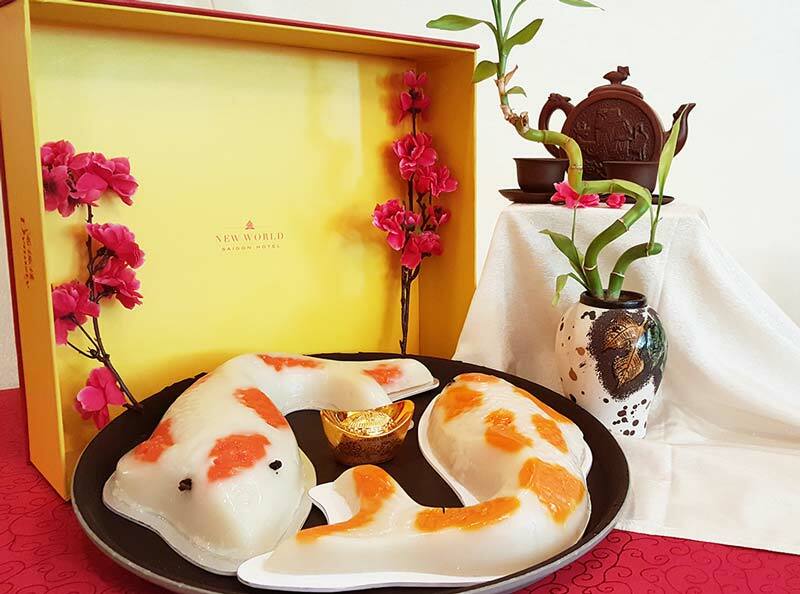 In Chinese, the pronunciation of word “Nian Gao” means “year high” and implies prosperity year after year – making Nian Gao a popular gift item during the New Year period. – Daily, 1 to 22 February 2016, 10 a.m. to 8 p.m.
*Prices exclude 6% service charge and 10% VAT. … but the number you get is a good indicator of how well you are utilizing the value of your rooms. Let’s add to this another very important term: RevPor, which is money spent per occupied room. This is necessary when tracking how much people are spending on amenities - are they raiding their minibar and indulging in room service? RevPor is a useful indicator, especially in Vietnam where there are many niche hotels who need to watch their numbers closer than most mass market hotels. If you’re paying close attention to your hotel’s booking patterns, RevPar and RevPor can determine what move you should make next to maximize revenue with your rooms. There is no concrete RevPar or RevPor that you can really aim for year round - the bigger the better of course, but this really depends on room demand during the season and other external factors. Perception is reality, and if people perceive that a room is worth more than what you’re charging then it becomes an easier buying choice. This can done by adding exclusive benefits to certain rooms. For example, get the Executive Standard and get access to a private lounge with free refreshments and free flow drinks during fixed hours; free late checkouts; complimentary in-room breakfast; discounts on services like the spa or at certain F&B venues; or anything else that you can offer. While none of these are large investments, the person perceives these benefits as special treatment and values the room more than something similar but without the benefits. Ramping up room benefits is an excellent way to increase your RevPar. How many movies and shows have you seen where the characters enter a hotel room they can’t afford and get excited over the jacuzzi in the bathroom? No matter how overhyped, jacuzzis are what people think of when they imagine a luxury suite, a special treat they can only afford during special occasions. 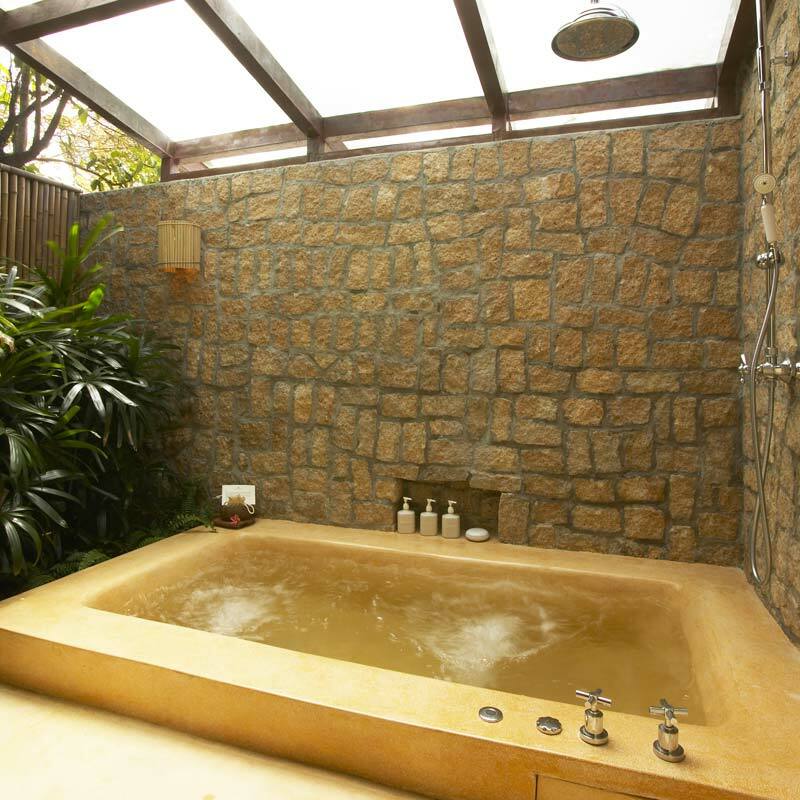 A jacuzzi room can be a lot more appealing to travellers than a “shower” room. Especially during colder or rainy months. This simple addition can change a regular room to a room with a taste of luxury. People like options, but they also like being told what to get. Using other items mentioned on this list (jacuzzi rooms and rooms with added benefits, for example) you can create more room options for guests. The next step would be to direct these rooms at certain demographics - if the Standard Room is now the Executive Standard, and couples have been flooding into the Standard Room this season, paint the Executive Standard as a honeymooner favorite, or something similar. 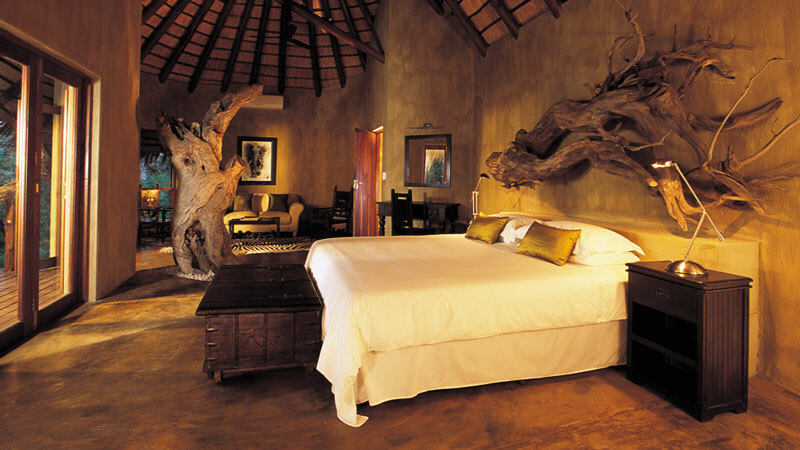 This way, you get the added benefit of giving more budget options for travellers while promoting your “enhanced” rooms. Yes, there are plenty of travelers that head over to Agoda or TripAvisor or Booking.com without even looking at a hotel’s website. 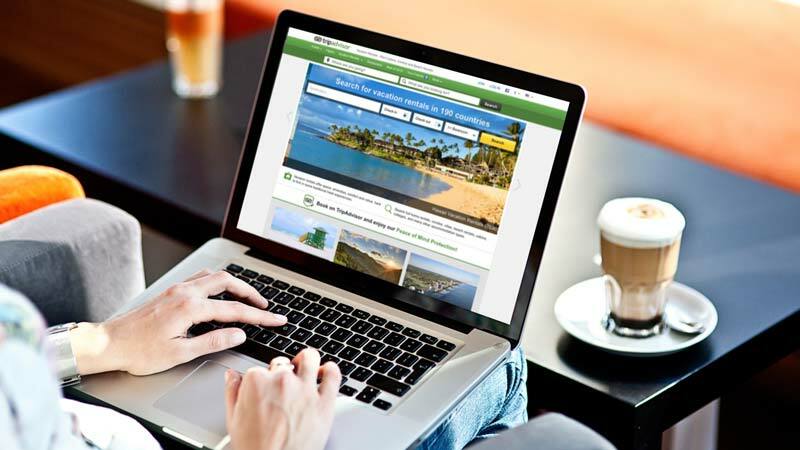 This can lead fearful managers to abuse their reliance on OTAs and neglect the fact that in the long-run, a balance between OTAs and direct bookings via website and phone is more profitable. This is because people on OTAs are looking for the cheapest option - meaning they are less likely to get room service, buy a bottle of wine, or even dine in the hotel. Many rooms on Agoda don’t even include breakfast - guests will be going to town to eat, not opting to laundry their clothes in the hotel, and avoiding the minibar like the plague. This is a big hit to RevPor. 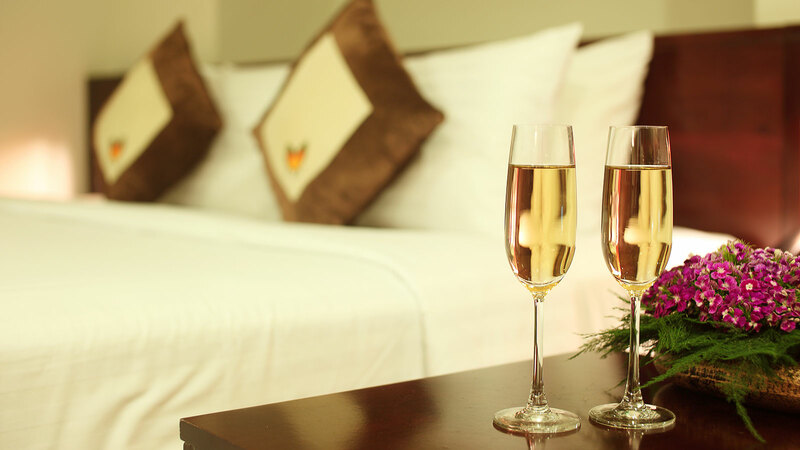 If people are staying for a minimum of five to seven days in your hotel, give ‘em extra. Not only are they more likely to increase your RevPor by getting in-room dining and scouring your F&B outlets and spa facilities, but you will decrease maintenance costs as linens and disposable toiletries will have to be changed less. In-room breakfast, turndown amenities, better bathroom soaps and shampoos, gift baskets, welcome fruits and chocolates - these small investments make longer stays more attractive. And longer stays guarantee filled rooms, reduce costs and up both RevPar and RevPor. What’s not to like?